The Reading KAURner » ~ Where the more you read, the more things you will know! 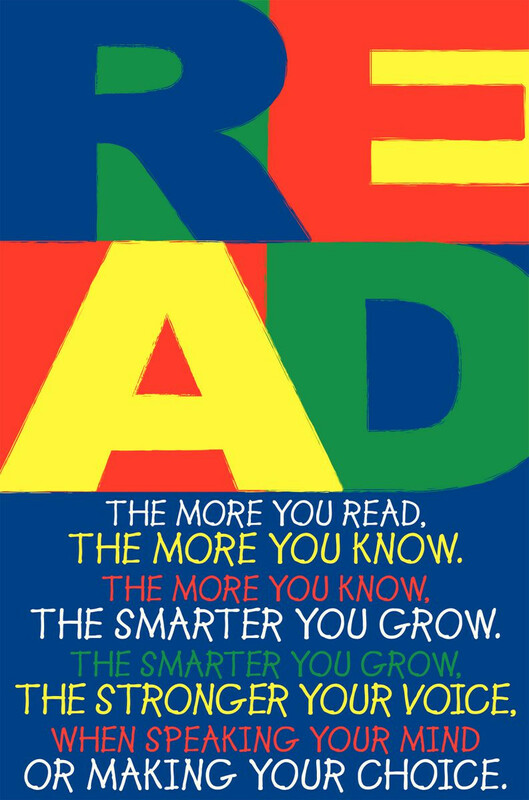 ~ Where the more you read, the more things you will know! ELA MILESTONES PREP CLASS IS AVAILABLE!!! Great opportunity for you to come and get the extra help you need. Everyone will benefit from these sessions. All grade levels are welcome, but 8th Grade is particularly encouraged to attend. The time is 8 a.m. to 12 Noon. Transportation is provided, as well as snacks. Every year our EL students take the Assessing Comprehension and Communication in English State to State for English Language Learners test, known as ACCESS for ELLs. This test is used in 32 states for ELL students from kindergarten through 12th grades. It is written by the World-Class Instructional Design and Assessment, or WIDA, Consortium. ACCESS scores determines when a student can exit the ESOL program. At Level 6, students are considered as fluent as their native-English-speaking peers. Students achieving Level 5 in a particular category, like reading, are considered fluent. Scores are given for reading, writing, listening and speaking, as well as an overall score that is weighted toward reading and writing. 19th year of teaching here at Griffin Middle School. Graduate of University of Alabama at Tuscaloosa. Introduces, supplements and reinforces the content as well as reading and writing skills through whole group/ small group/ one-on-one instruction, lexiled paperback/ audio books, and computer softwares. Performance based ‘fun projects’ that enhance learning. Cultivate love of reading and writing. ELs: Score a ‘5 on Level B/ C’ ACCESS. Please check the blog for weekly updates. Looking forward to a year of successful learning. So, let’s strive to make learning a truly fun-filled experience! The primary aim of our READING course is to prepare students to meet challenging literacy requirements in the 21st century. In addition, another key goal is to support as well as encourage students to become proficient readers so that they are better able to comprehend a variety of literary and informational text. The objective is to analyze, synthesize, and apply what they read through writing and speaking in a clearly developed manner. The curriculum is based on the Georgia Standards of Excellence. An ongoing development and reinforcement of comprehension strategies promotes independent reading and learning. We believe by raising students’ awareness of reading as a skill that requires engagement along with explicitly teaching reading and writing strategies will enable students to develop the ability and the confidence to handle communication situations they may encounter beyond the classroom.